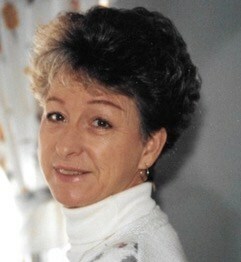 Betty Lou Bush, 83, passed away on February 8, 2019, at Morningstar Care Center in Oswego, New York. She was born in Oswego, New York, on December 10, 1935, the daughter of Mr. Charles Krackhel and Mrs. Alice (VanBuren) Pittsley. Betty grew up and made her life in Oswego and Minetto, New York. She was a secretary at General Electric early in life and spent her remaining years as a devoted wife and mother. Betty was happily married for 46 years and predeceased by her husband, Joseph Bush. She predeceased by her parents, several brothers, and a beloved sister. Betty is survived by her daughter, Roxanne Bush (husband James Benzing), several sisters and brothers, fond nieces, nephews, grandchildren and friends. She will be lovingly remembered and greatly missed by all. Betty’s life will be celebrated at a later date for select family members. There will be no calling hours. To share a memory of Betty or leave a special message for the family, please click the Share Memories button above. Add your memories to the guest book of Betty Bush. I met Betty at Morningstar Care Center when my sister was a resident. She often joined us in our hall walks. She had such a sweet smile. My thoughts and sympathy are with you. I will always remember Betty and Joe Bush.I grew up on the same road and they were always friendly with a nice smile and Hello. They were very nice people and Betty was beautiful. Gramma will be missed. She is now with grandpa again watching over us. Gramma and grandpa where the perfect couple always together, always making the best out of life. I love you gramma!